Originally published on October 4, 2016. Writer and director Joe Swanberg got his start in the mid-2000s as an influential member of the Mumblecore film movement. Defined as a distinctive sub-genre of the American independent film revolution that has its roots in the 1990s, Swanberg and others defined themselves through a new form of cinematic Naturalism, connoting both an intensely paid attention to detail in realistic performance and dialogue. In some of the earliest Mumblecore features, many key actors were untrained performers, whose respective naïveté gave birth to much of the sub-genre’s understated pathos and emotional drama. Frequently centering around stories of 20-somethings and 30-somethings engaged in intimate and intense personal relationships with one another, the Mumblecore film movement has its roots in the French New Wave of the 1960s – though its affect is thoroughly American. Taking some inspiration from such movies as Slacker from 1991 and Clerks from 1994, Swanberg and others have managed to produce films to match the very greatest works of Jean-Luc Godard and Eric Rohmer, except the ease with which the characters speak to one another is far more abrupt and American in terms of cultural content and social context. For years, Swanberg remained an obscure director of the American independent film scene known only to a few cinephilic, hipster undergrads wishing to assert their credibility in an introductory cinema studies class. But following the release of more recent feature length productions such as Drinking Buddies and Happy Christmas in 2013 and 2014 respectively, Swanberg has been able to attract more recognizable Hollywood talent to his projects. Following his rise in pop-culutural visibility, Swanberg released his own Netflix original series to critical acclaim and minor notoriety just a few weeks ago, though again it feels like Easy will belong and appeal to a fairly exclusive club. Tracking the intersecting paths of several denizens and misfits of the larger Chicago metropolitan area, Easy is at once the most accessible and the most obscure entry in Swanberg’s oeuvre. Featuring several recognizable faces from both his past filmography and other big budget blockbuster productions, Swanberg’s anthology series produced for Netflix is the perfect recipe for the average binge viewing habit. Seeing well known faces like Orlando Bloom and Dave Franco pop up alongside more countercultural icons like Marc Maron and Jane Adams is a thrill for the more devoted cinephile. A lot of the appeal in a show like Easy comes in the knowledge that it immediately feels like a well kept secret. Unlike the chart-topping phenomenon that was Stranger Things this past summer, Netflix might be taking a bigger gamble with Swanberg than ever judged purely on face value. Yes, A-listers like Bloom and Franco make their presence known in a big way, but the episodes in which they appear are buried beneath a lot of subtle human drama. The typical theatergoer might be hard pressed to forge into Easy for the long haul given its uncompromising depiction of the basic human condition, which is simultaneously what makes Swanberg and his new series so indispensable to the contemporary independent film movement in kind. In Drinking Buddies, viewers might have been sold on the immediate appeal of its featured co-stars Olivia Wilde and Anna Kendrick. Judging by the original theatrical trailer for the film, distributor Magnolia Pictures was struggling to pitch an obvious passion project to a market dominated by dispassionate power plays. Wilde and Kendrick might look the part of manic pixie dream girls in Drinking Buddies, but in the film proper their own idiosyncrasies result in a far more volatile and unsettling drama of manners. Swanberg has always reveled in crafting complicated human relationships on the big screen, and in Easy he has done just that on an even more minutely orchestrated scale on the small screen. The problem that then arises in getting the ordinary Netflix binge viewer to watch a show like Easy is compounded by the fact that the online streaming network — like most of the other major motion picture studios and broadcast television networks — deals primarily in far more obvious and plainly stated melodramas. Shows like the recently released Marvel Studios tent pole series Luke Cage rides on bombast and explosions that might serve to mask and override a show like Easy and its quieter moments of intimacy and desperation. Yet considering the success of the like-minded drama series Transparent, produced by competing streaming service Amazon Studios, maybe Easy has a chance. 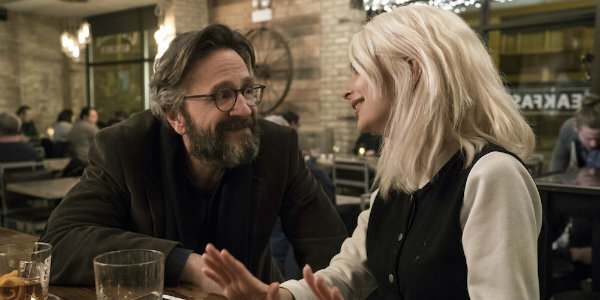 Granted, the protagonists who populate Swanberg’s narrative canvas are a little more broadly characterized as your garden variety millennial hipster, but their aspirations and desires are no less vital and alive than that of the Pfefferman clan. Like Transparent creator Jill Soloway, Swanberg too relishes exchanges between characters that verge between jovial and hostile territory, and his productions are all the better because of it. Easy presents its subjective cross-section of Chicago as a veritable cornucopia of miniature fables and morality plays. Like the French New Wave director Eric Rohmer did with his classic film series Six Moral Tales, Swanberg manages to differentiate between his characters respective social, racial, and economic backgrounds with ease and hyper articulate detail. The show is wildly sophomoric and vividly optimistic throughout, making it a shining example of the contemporary American independent film movement in heart, body, and soul. 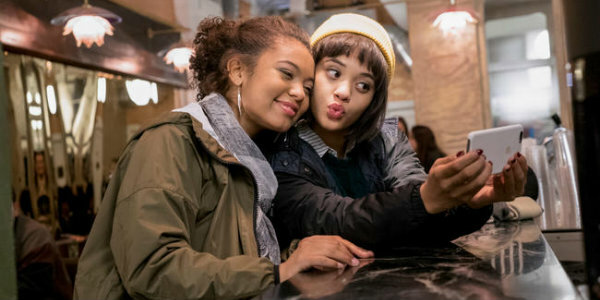 It’s an impressive feat unto itself that Easy was made at all, and it’s inclusion against the standard rank and file of other Netflix original series makes it a new show worth watching for its inherent novelty alone. Other hit shows on the streaming service, like Orange is the New Black and Daredevil, announce themselves loudly to one another and their respective audiences in brash tones and undiluted voices. In contrast, Swanberg’s new series reveals itself in small moments of silence and physical closeness between its supporting characters. It would be easy to miss a show like Easy amidst all of the hustle and bustle of the bigger properties getting significant attention from viewers online. But if you decide to take the plunge with Swanberg’s first TV show you’ll be rewarded on a far more subversive and imperceptibly resonant level, making it the latest viewing experience not to be missed.